Awesome dogs like Chuck on our home page are often considered to be a Pitbull, though Chuck is much more Boxer than anything else, many people see "square, squatty dogs" as a Pitbull. These dogs often get unfair representation in the media, which has led to misconceptions with the public. 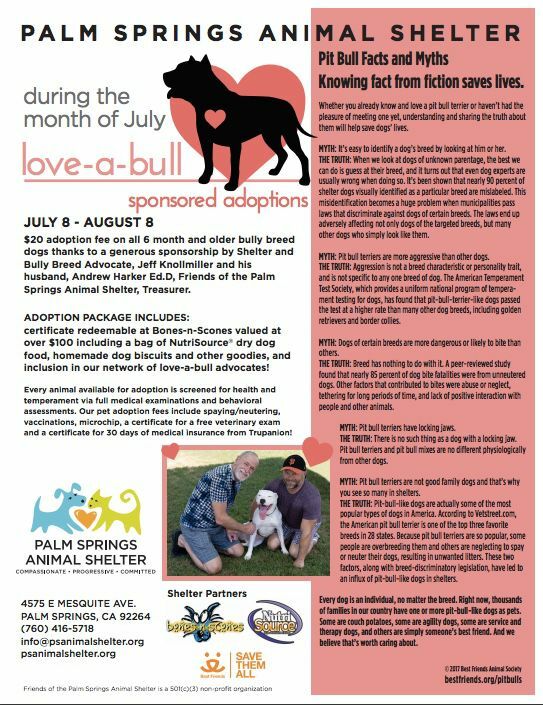 We want to show you and others how "love-a-bull" our bully breeds are this month through August 8.